Bring a friend, grab a drink, and join some of today’s most interesting performers onstage at Miller Theatre's Pop-Ups Concerts series on select Tuesday evenings. 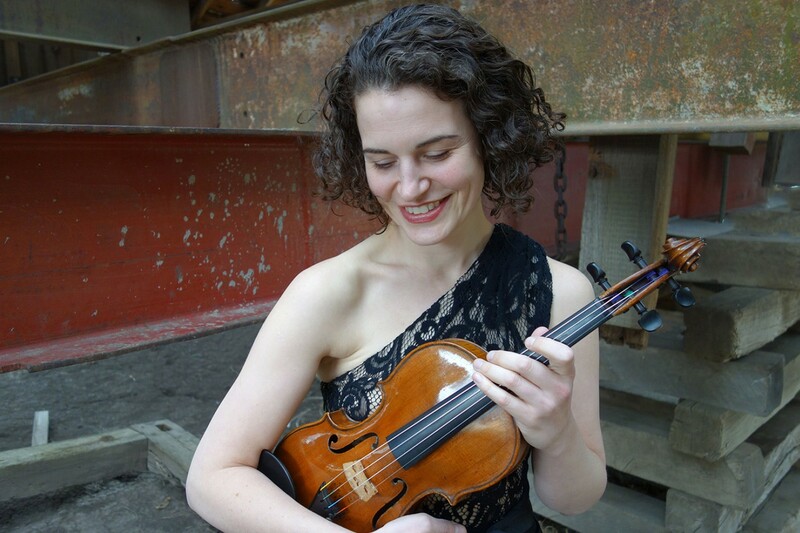 Acclaimed violinist Rebecca Fischer makes her Pop-Up debut with a girl-power program of solo violin works by seven contemporary composers, two of which were written expressly for her. Praised for her “beautiful tone and nuanced phrasing” (Boston Musical Intelligencer), Fischer is a highly sought-after musician, having served as first violinist of the Chiara String Quartet for 18 years. All concerts start at 6 p.m. Admission is on a first-come, first-served basis, and doors open at 5:30 p.m. No tickets required. Come early to guarantee your seats onstage. Major support for Pop-Up Concerts is provided by the National Endowment for the Arts and the Dow Jones Foundation.